Although the sophistication of tree intelligence may stress some people’s credibility, Dr. Suzanne Simard — who has documented it with rigorous scientific protocols — contends it is an established fact. Peter Wohlleben has done the same. By examining the metabolism of trees over time, he has found that trees in a beech forest synchronize their photosynthesis so that each grows “into the best tree it can be.” This is not competition but a system of “mutual support”. Indeed, a forest is a community that functions for the betterment of all its members. Wohlleben, in his more poetic description of trees, notes that they have “individual characters”. Some, which he describes as having more “anxiety” than others, will drop their leaves early to avoid the damage of autumn storms. Others are riskier, willing to take the chance for a little extra growth. 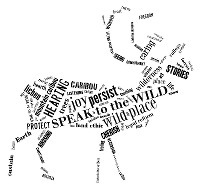 Some are more gregarious than others, doing more communicating and trading — cedars, apparently, tend to be loners. Fall colours, by B.C. painter Doris Laner. Simard has documented this intelligence using tracer isotopes such as carbon-13, to show how “birches and Douglas fir supply each other with carbon and nutrients, while taking turns as the dominant partner in the exchange” (Maclean’s, Sept. 19/16). This interdependence is often so strong that felling one tree can cause the other to die. Painting by Emily Carr, one of the Canadian Seven. Photo courtesy of WikiArt..
A different scale of time accounts for one of the reasons we have difficulty understanding the intelligence of trees. We interpret events with reference to our human sense of normal. Comparatively, trees seem to respond slowly, their life cycles sometimes approaching millennia — in the words of the German forester, Peter Wohlleben, they “exceed the human attention span.” They feed on the raw material we call dirt and produce their energy by the perplexing process of photosynthesis. As very different creatures, it’s not surprising we haven’t been able to understand them. 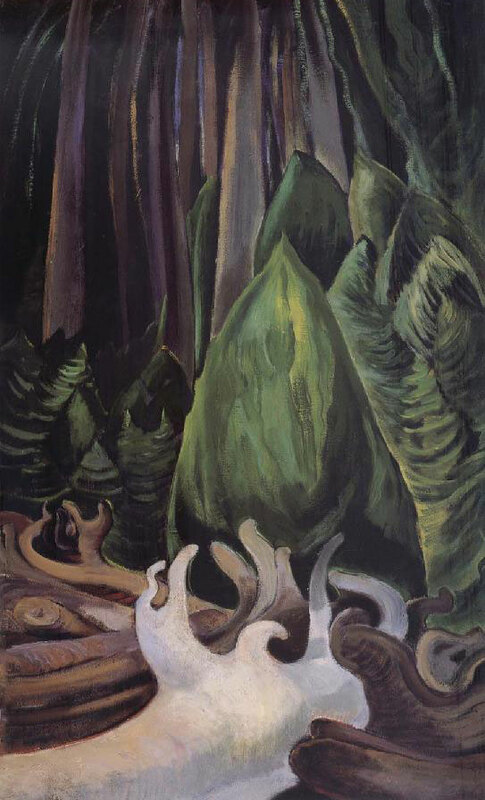 Forests of British Columbia, painting by Emily Carr 1931-32. 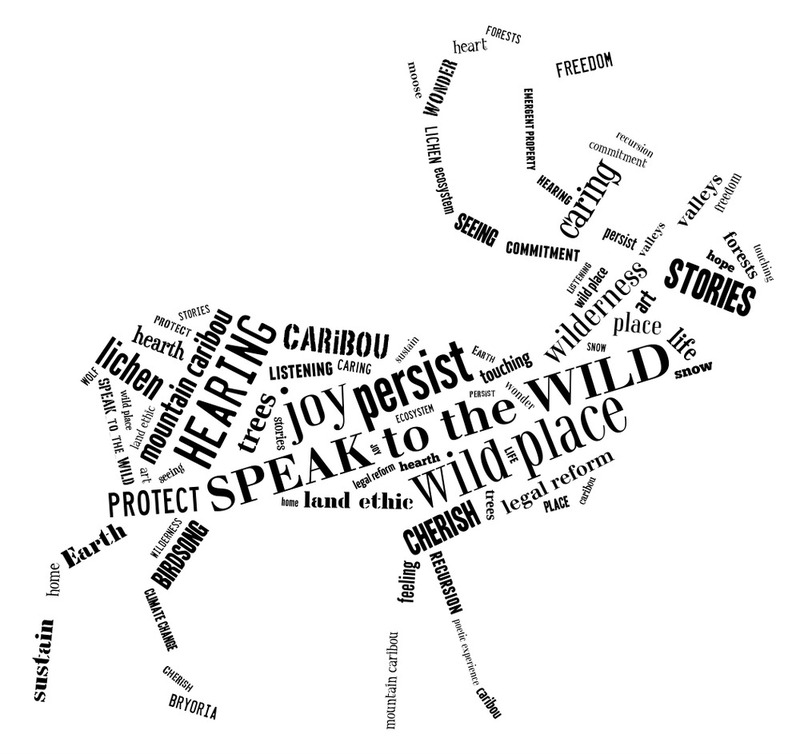 By Emily Carr, courtesy of Digital Journal Archive. Some discoveries are revolutionary and so obvious that we’re surprised we didn’t know about them earlier. 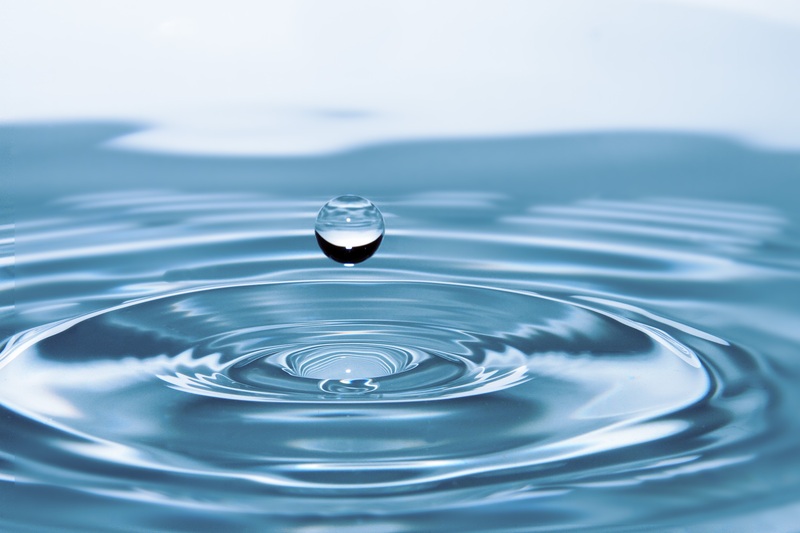 The new perspective they provide begins to work its magic by shifting our awareness and values. And we can never again return to our old way of understanding the world. This has been happening with increasing frequency, particularly in biology. At the very time when we are losing species and destroying ecologies with a prodigious efficiency, we are also gleaning remarkable insights about the astounding ingenuity and complexity of life. The discoveries of a German forester, Peter Wohlleben, and a UBC forest ecologist, Dr. Suzanne Simard, are a striking example. The American voters understood the question, they just didn’t like their choice of answers. Neither of the two presidential candidates, Hillary Clinton nor Donald Trump, represented the change they wanted and needed. Their disquietude is justified. To the growing vertical division between right and left has been added the horizontal division between rich and poor. This is creating a palpable social tension. The increasing dominance of the corporate agenda is too often contrary to the public interest. The uncontrolled flow of money into politics has adulterated the democratic process. Irritants such as racial tension, changing demographics, foreign policy miscalculations, trade deficits, energy transition and weather extremes have all contributed to their demoralization. Hillary Clinton and the Democratic Party represented the intolerable status quo. Donald Trump and the Republican Party offered confusing choices between unpredictable change, extremism, bigotry, racism, misogyny and the vague promise of making America great again. Voters chose the riskier option. 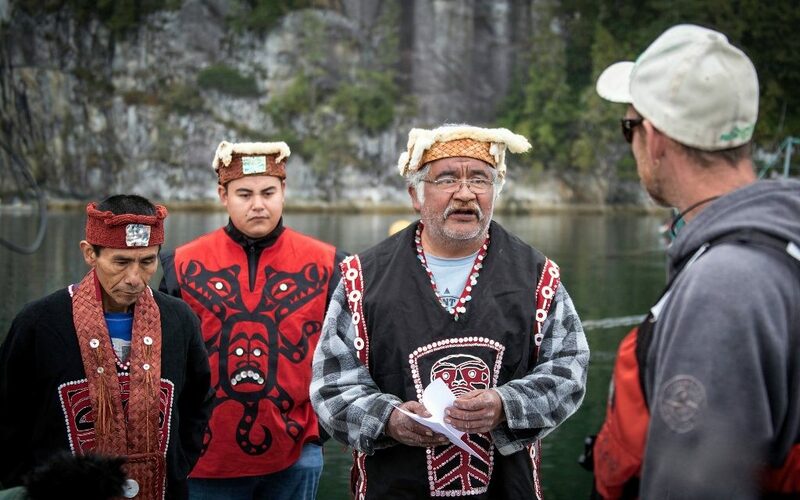 The political idealists who believed that the new Liberal government under the leadership of Justin Trudeau would keep its promise to cut greenhouse gases were dismayed by its decision to approve the Petronas Pacific Northwest LNG plant on Lelu Island near Prince Rupert. Not only did the decision seem to ignore regional concerns about the safety of Skeena River salmon, but it committed an additional 4.3 million tonnes of annual of carbon dioxide emissions. This would be a serious handicap to Canada’s pledged reduction targets, and would make BC’s targets virtually impossible to meet. Either the government has seriously compromised its principles or a cunning method lurks in its madness. Consider the situation. Trudeau’s Liberal government has announced that Canada will have a $10 per tonne carbon tax (or equivalent) starting in 2018, rising in equal annual increments to $50 per tonne by 2022. Some of the provinces were shocked and promised to resist. To get the support of a reluctant BC government, the Petronas project for some $31 billion was approved with 190 conditions. We are living in a time like no other in human history. The environmental decisions we make today and in the next few years will determine our planet’s climate stability and the direction of human destiny for centuries to come. Perhaps everyone alive at any given moment in the past has thought that they were living at the centre of history. This is not quite true. History changes in irregular pulses, something we know in retrospect by analyzing the unfolding events over centuries and millennia. In August, the Musgamagw Dzawada’enuxw First Nations gave eviction notices to salmon farms operating illegally on their territory. In response, Marine Harvest Canada has recently filed a lawsuit, prosecuting them for obstructing their [illegal] aquaculture sites, Photo by Tide of Change. This action is unlikely to win public support for a salmon farming industry already with a tattered reputation. And it may raise legal complications that will test the wisdom of the court.